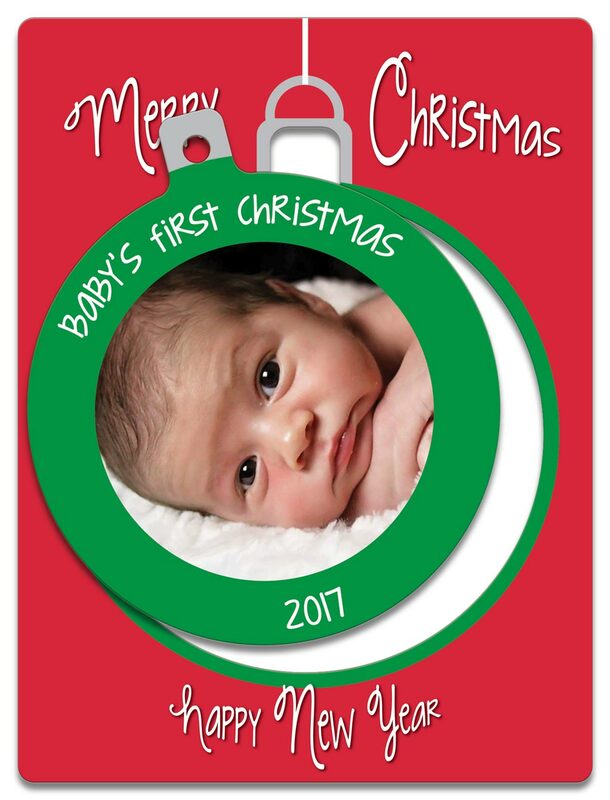 Give your friend and family long lasting memories of the holiday season with this exclusive Baby’s First Christmas ornament card design. 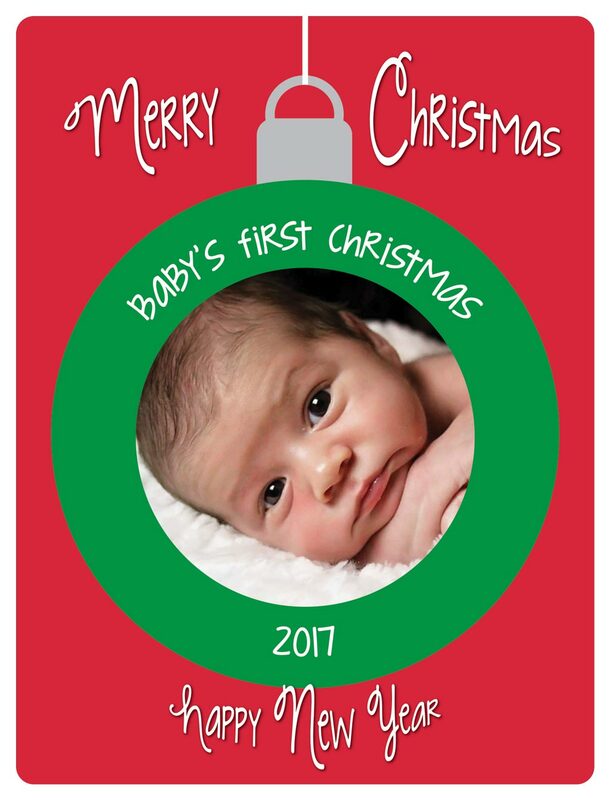 Add your favorite photo and personalize details to make a card that’s truly unique. 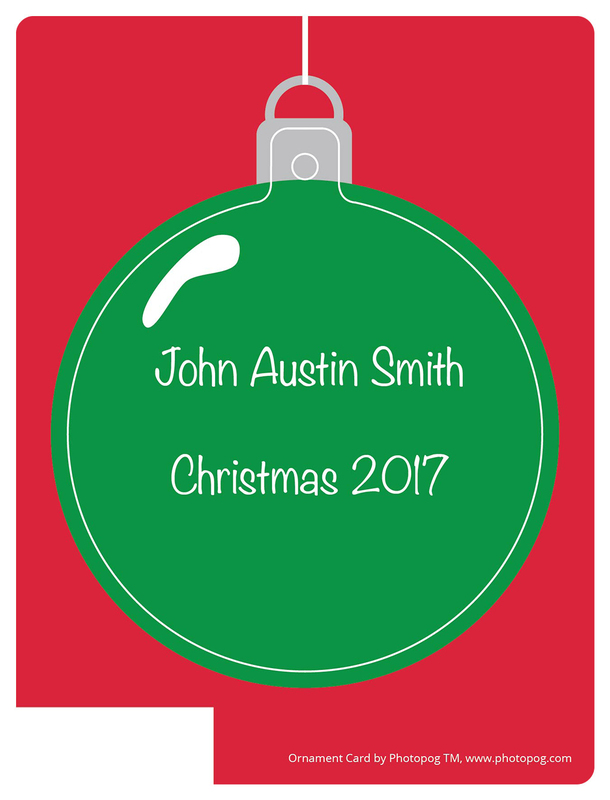 PhotoPog Ornament Cards are made with the same durability of a gift or loyalty card so you can be certain that the ornament when popped out of the card will last a lifetime. White envelopes are included with your purchase at no charge. © COPYRIGHT 2017 PHOTOPOG. ALL RIGHTS RESERVED.